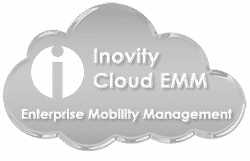 Thank You for Subscribing to Inovity Cloud EMM. What’s Next? Register for Free Customer Training! The Indispensable Tool for Your IT Dept. You probably already know that Inovity Cloud EMM software can let you manage and control all of your company’s mobile devices, whether they’re across your warehouse, across town or across the globe. But this tool has many features you might not know about — or know how to use!